A quiet revolution is building as some consumers and bakers are beginning to appreciate bread as a food in its own right rather than a cheap “bulking” or “filling” food. Bread can have a variety of flavours and complexities not unlike other fermented foods such as cheese. A good analogy is the variety and complexity of wines and single malt whiskeys. Currently most flour originates from many varieties of wheat and growing areas. These grains are blended by the miller to create a uniform product. This limits the possibility of celebrating specific flavour complexities and the uniqueness of individual varieties. Single Origin is all about knowing where the wheat is grown and how the farmer treats his soil, crop and community. It is about understanding the grain varieties which influence the flavour, aroma and texture of the bread. Combined with the uniqueness of the sourdough endemic biological polyculture, flour is transformed into a bread with real nutritional character and unique flavour. 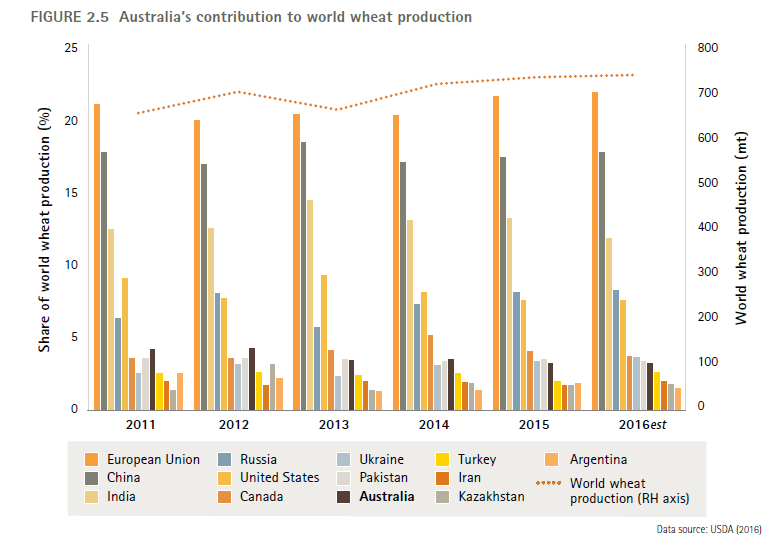 From a global perspective Australia is a small producer of wheat with 2016’s 25 million tonnes representing just 3-4% of the world’s wheat production. Australia, however, is an important player in the global wheat trade, accounting for 10–15% of global wheat exports. Australia was the third highest exporter based on dollar value worth of wheat during 2015. Indonesia is Australia’s largest export market worth an average of $1.3bn per annum. During the past five years, the Indonesian market alone has accounted for 20% of Australian wheat exports followed by Vietnam at 9%. Australian wheat is sought after for its high flour extraction rates, bright white flour colour, low moisture content, white seed coat, fit-for-purpose protein levels and starch qualities. Domestically Australian wheat meets almost 100% of Australia’s wheat needs. Internationally, Australian wheat is sought for Asian noodles, pasta, bread and other baked goods. High extraction rates provide value for money and low moisture levels ensure Australian wheat can be stored for long periods without spoiling. 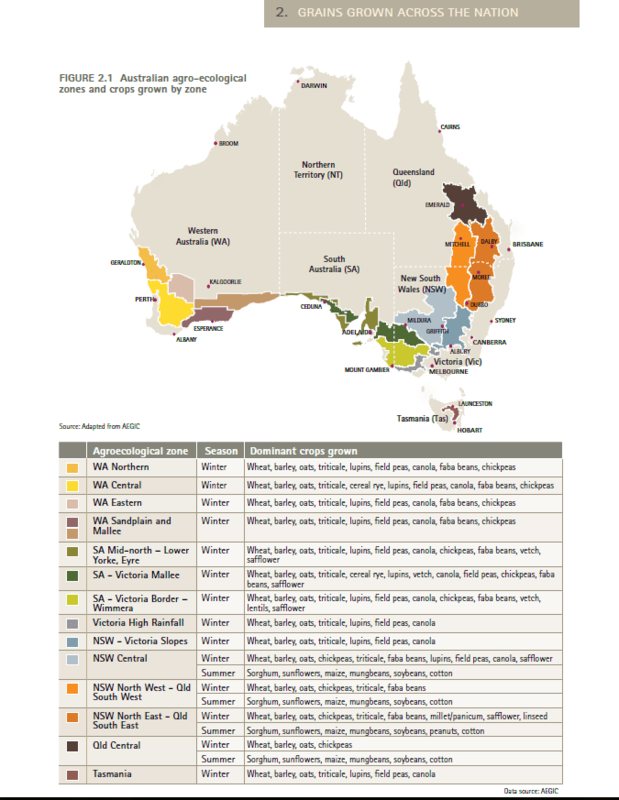 Grain crops are grown in the ‘cropping belt’ of Australia, which comprises some 45 million hectares. This ‘belt’ starts in central Queensland and wraps itself inland down through NSW, Victoria, Tasmania and along the bottom edge of SA through the south-west to central WA. The grain grower generally transports the wheat to a silo or sometimes directly to the miller. The miller’s job is to blend the grains to produce a sound stable product. The grains for baking bread are classified as Australian Prime Hard. This is a high protein milling wheat, comprising selected white, hard-grained wheat varieties. It is ideally suited for high-volume European breads, yellow alkaline noodles, fresh ramen noodles, dry noodles and wonton skins. It can also be blended with lower-protein wheats to enhance flour quality. One of the weaknesses of treating wheat as a commodity is that there is no link between what the customer wants and what is bred and produced. A recent CSIRO survey found as many as one in 10 Australian adults (approximately 1.8 million people) are avoiding or limiting their wheat consumption CSIRO (2015). Few among this group (5·7%) claimed a formally diagnosed intolerance or allergy requiring avoidance of wheat-based foods. The focus of wheat produced for the commodity market has been high yield and disease resistance. 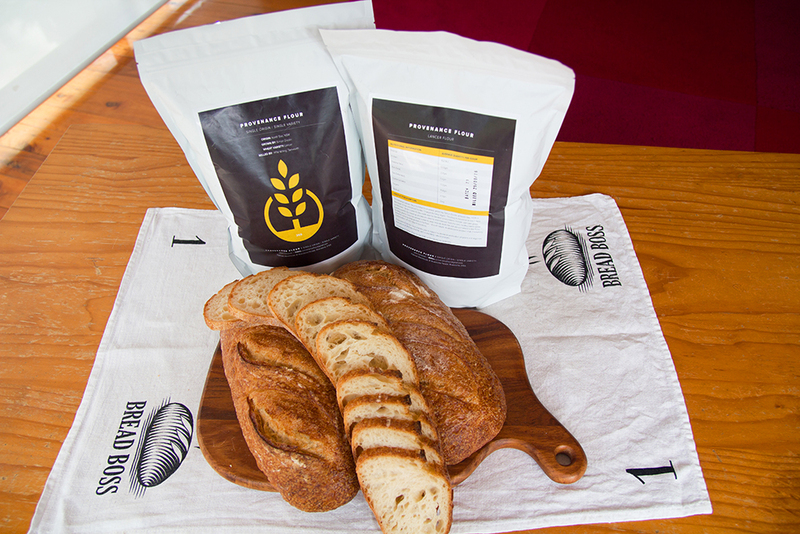 However Provenance Flour’s farmers aim to create a unique flour which is the culmination of the soil, climate and grain variety from a specific farmer in a specific geographical region. This unique offering is being supplied to artisan bakers in Sydney, Melbourne and Brisbane such as Brasserie Bread and Brickfields Bakery. As the two parties communicate their shared philosophies, flavour and health becomes paramount in the equation. We set about devising a simple bake test of the Provenance Flour samples and in our next post we detail our bake test and describe what we found. I have just purchased my first flour from this website and the results are the best bread I have ever made. The bread tastes beautiful and I will remain their customer for many years to come. Thanks for the great feedback Lilliana, we wish you every success on your journey making beautiful, healthy bread. Landline viewer and home bread bread maker or more always learning bread baker. I’d like to please get hold of some or probably 3 x 20 kg bags of Simon Doolin grain that you have refined to flour. I live west Australia, Northcliffe 6262. I’ll pass your details on to John Campbell of Provenance Flour. We are keen to sell grain on our site as well and John is in the process of arranging this but we are not sure when he will be ready to go.